No PAUSE LYCOMPLEX is a new generation health supplement based on Vegetable Extracts of Chinese Angelica (A. Sinensis), Dioscorea, Griffonia and Red Clover , together with Magnesium Bisglycinate and Lycopene PSC to effectively counteract the disorders of menopause such as hot flashes, irritability, insomnia, hypersudoration at night, intimate dryness, vertigo, headache and palpitations. 60 x 650 mg capsules in pillbox. New generation supplement based on vegetable extracts of Chinese Angelica (A. Sinensis), Dioscorea, Griffonia and Red Clover together with Magnesium Bisglycinate and Lycopene PSC, to effectively counteract the disorders of the menopause such as hot flashes, irritability, insomnia, hypersudoration at night, intimate dryness, vertigo, headache and palpitations. During Menopause women go through important physical and emotional changes, particularly when the body gradually reduces the production of progesterone and estrogens, causing the symptoms typically associated to menopause. A daily intake of No Pause Lycomplex supports a natural hormonal rebalance thanks to its formula rich in Isoflavones, alongside with bringing a relaxing effect to help the mood. MAGNESIUM BISGLYCINATE CHELATE: menopause causes certain discomforts which magnesium can help alleviating. Menopause can also lead to a deficiency in this important element caused by a reduced body absorption and a higher rate of elimination through urine. 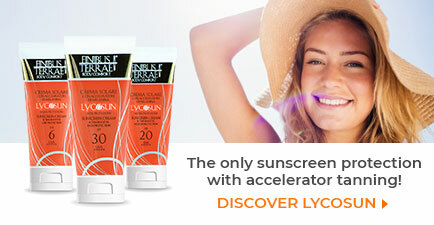 Magnesium contained in No Pause Lycomplex is the highest bioavailable form of magnesium. Recent Studies (J.Hartle, S. Morgan, T. Poulson, Albion Minerals, 2017) demonstrate in fact that magnesium bisglycinate chelate is the form of magnesium best absorbed at intestinal level. CHINESE ANGELICA (Dong Quai): its root is used in the treatment of gynecological disorders thanks to its high phytoestrogens content (vegetable estrogens) which can help rebalancing the estrogen levels, fundamental to the correct balance of the hormones. Thanks to its phytoestrogens, Angelica is therefore recommended during menopause as it helps reducing symptoms such as hot flashes, uterine contractions, sudden changes in blood pressure and migraines. Its relaxing properties also help reducing muscle spasms, insomnia, water retention, lack of energy and general feeling of weakness. DIOSCOREA (Dioscorea Villosa): the roots extract of this plant original of Central America (Wild Yam) is rich in Diosgenin, known as vegetable precursor of progesterone. Some studies have in fact demonstrated that natural progesterone from Dioscorea Villosa is structurally similar to the same human hormone, but also different from the one synthesized by the body. This aspect makes it extremely effective, cause it lacks the side effects typical of the human progesterone. A supplementation of Diosgenin rich Dioscorea has demonstrated to normalize the balance estrogen-progesterone thanks to its ability to be transformed into progesterone. Diosgenin, as biological precursor of human progesteron, gives the women’s organism the progestin phytohormones which help balancing the hormone levels, normalizing it and making it more physiological, contributing to the reduction of hot flashes and other symptoms typical of menopause, together with improving the tissue tropism in both skin and mucous, slowing the ageing process. GRIFFONIA (Griffonia Simplicifolia): Griffonia extract contains 5-HTP (or 5-hydroxytryptophan), able to stimulate serotonin production. Serotonin is a hormone with multiple tasks in the body, including mood regulation. For example, at lower levels (typically caused by the hormonal imbalances during menopause) causes sadness, negative emotions, anxiety, insomnia and nervous hunger. Griffonia Extract can balance serotonin levels in the body, counteracting the typical problems of menopause. RED CLOVER (Trifolium pratense): Red Clover is a precious source of Isoflavones with a chemical structure similar to female estrogens and also with similar benefits, therefore it is helpful in the reduction of problems caused by menopause, alongside with improving the bones health and balancing the levels of cholesterol in the blood. 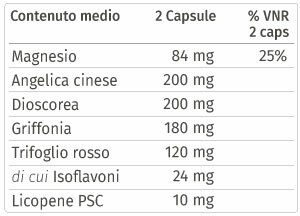 Isoflavones from Red Clover can be absorbed much faster than the ones from Soy, making them even more active and effective. LYCOPENE PSC: Lycopene is an antioxidant and anti inflammatory nutrient with multiple important benefits to human health. 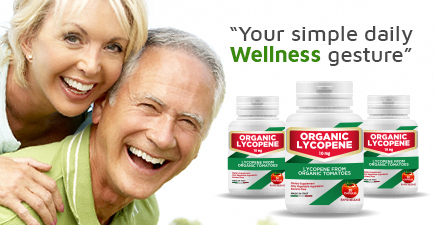 Licofarma’s Lycopene is Organic Certified, devoid of pesticides and chemical solvents. DOSAGE: it is recommended to take 2 capsules a day before meals. Magnesio Bisglicinato Chelato. Angelica (Angelica Sinensis Diels.) radice e.s. 1% Ligustiloside. Dioscorea (Dioscorea villosa L.) rizoma e.s. 10% Diosgenina. Griffonia (Griffonia simplicifolia (Dc.) Baill.) semi e.s. 20% 5-HTP. Trifoglio rosso (Trifolium pratense L.) parti aeree e.s. 20% isoflavoni. Magnesio ossido. Gelatina alimentare. Pomodoro (Lycopersicon esculentum Mill.) frutto e.s. 6% Licopene. ECCIPIENTI: Maltodestrina da mais. Biossido di Silicio (E551). Silice colloidale anidra. Idrossipropilmetilcellulosa (E464). Acido citrico (E330). Titanio Biossido (E171). 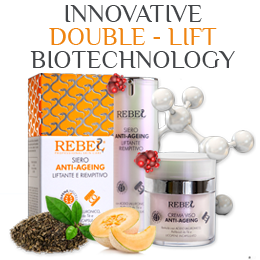 The product is intended as a supplement to a varied and balanced diet and a healthy lifestyle. Store in a cool and dry area and away from heat. Do not exceed the recommended daily intake. Keep away from the reach of children younger than 3.